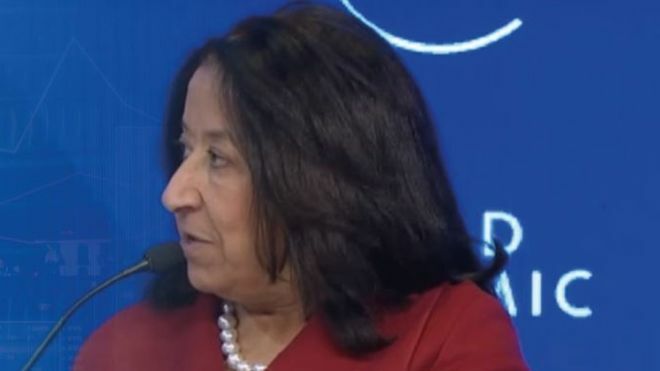 A woman has been appointed to run a Saudi Arabian bank in a first for women in the country. Saudi businesswoman Lubna Al Olayan will chair a new bank being formed out of a merger between the Saudi British Bank (SABB) and Alawwal Bank. The move comes amid a liberalisation of women's roles in a traditionally conservative society. In June, Saudi women were officially allowed behind the wheel for the first time, after a driving ban was lifted. Currently the head of a family conglomerate, Ms Olayan is seen as a trailblazer for Saudi women in the finance industry.